Needless to say if you know me, but October is my favorite time of the year. My house has been decorated since September, and I have been pranking my students since October 1st. Workman Publishing has put together the BEST set of Halloween books this year (in the last 10 years, really). Each book is appropriate for every age level and would accommodate your entire family! Let's take a look at the individual titles. What's better than a scared chicken on Halloween? Nothing! These adorable chickens are scared of the eerie Halloween night surroundings and are trying to figure out what to do. 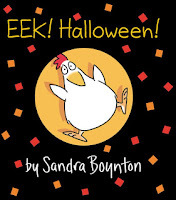 Boynton delivers another knockout and one that isn't too scary for young children. 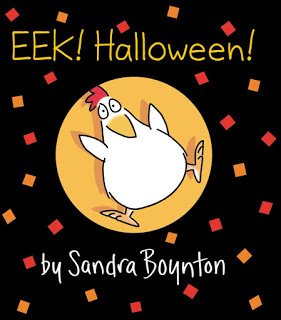 In the end, there's nothing to be afraid of--Halloween for these chickens and their readers is just for fun! Papertoy Glowbots by Brian Castleforte | August 23, 2016 | 196 Pages | Ages 9&up Origami meets amazing creatures in a book of paper craft fun! Papertoy Glowbots introduces 46 robots that have the added cool factor of lighting up, whether using glow-in-the-dark stickers that come with the book or light sources like flashlights, Christmas tree lights, and electric tea lights. There's nothing more fun than crafts, and crafts around Halloween are even better. There are 46 GLOWING robots that you can make, and all of them are super easy and a lot of fun. Once you make one, it's too hard to stop! Good thing there's so many to choose from. Since I don't have any kids of my own, I made a few myself, and it was so much fun. 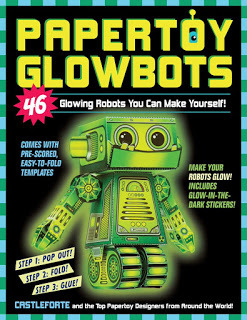 Glue or tape (glue is better) is all you need to make these glowing robots come to life! 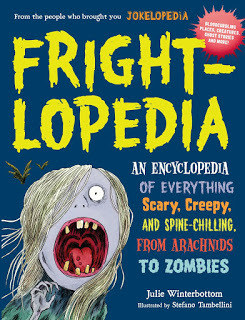 Frightlopedia by Julie Winterbottom | August 23, 2016 | 224 Pages | Ages 8&up Combining fact, fiction, and hands-on activities, Frightlopedia is an illustrated A-Z collection of some of the world’s most frightening places, scariest stories, and gruesomest creatures, both real and imagined. This was definitely my favorite of the set. Being a book nerd and a teacher, I love to research, and researching Halloween just may be one of my favorite fall hobbies. I took this to school and shared with my tenth graders, and they loved it, so I know younger readers would enjoy it as well. The encyclopedia is equal parts scary myths and legends and even scarier fact! Perfect for the science lover in your house, this book provides 114 awesome science experiments that are perfect for October and Halloween. 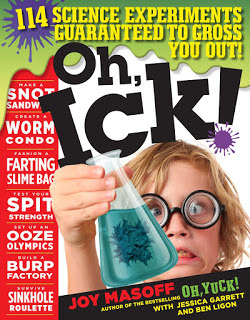 Experiments that make you giggle and ones that make your skin crawl, this book has everything to keep your child occupied while exploring logic and curiosity. I have actually been reading from the twenty tales provided in this book to my tenth grade students, and they love each and every one. They remind me every day to read one to them. 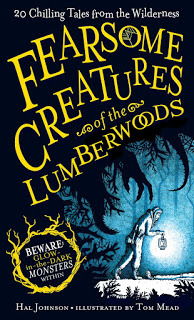 The book reminds me a lot of Scary Stories to Tell in the Dark but less creepy and more age appropriate for younger readers. The glow in the dark monsters on some of the pages are good mood setters for reading before bedtime.